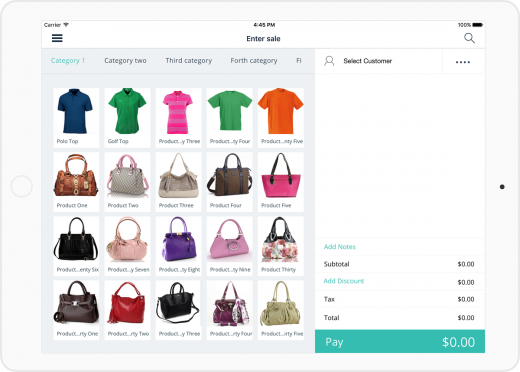 Use Hike’s iPad POS system to sell your products in-store and on-the-go. The feature-rich POS is mobile, light-weight and also works offline! Sell from any location, use at multiple outlets. The portability of Hike means that your hand-held iPad can now be turned into a powerful Point of Sale system. Use it to sell products, manage inventory, stock take or even check reports anytime and from anywhere. Your iPad acts as a floating cash register for your retail counter, maximizing your ability to help customers on the shop floor and. Even take out extra floating registers when the store is busy and streamline the checkout process exponentially. Hike’s iPad POS integrates seamlessly with leading payment processors worldwide including PayPal, iZettle, Tyro, Vantiv and Apple Pay. In addition, Hike can create custom payment types, so that you can choose to work with your existing merchant service provider. 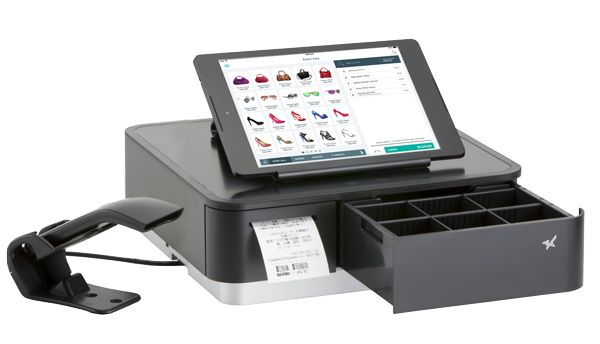 With its compact size, mobility and bluetooth connectivity with retail hardware, such as receipt printer and payment devices, Hike’s iPad POS system is ideal for trade shows, food trucks and pop-up store counters. Use your iPad to process your online orders in just a couple of taps! Take your iPad POS register with you to the warehouse to pick order items and mark orders as fulfilled as you go through the list. Hike will automatically send order status update to your integrated eCommerce! Switching between staff members at the register is as simple as a 4-digit pin code. Hike will give you a full breakdown of your staff’s transactions, making it helpful when calculating performance based payments and reviewing sale histories. Hike is built to grow with your business. When the time comes for your business to expand, you can easily add additional outlets and allocate new stock within minutes. Manage your inventory and gain valuable sale insights with all your stores with Hike! Never lose a sale, even if you happen to go offline because Hike keeps you selling, regardless of your internet connection. If you do go offline, all your store transactions will be synced to the cloud, as soon as you resume your online session. Hike offers plug-n-play hardware compatibility with a wide-range of receipt printers and scanners, so chances are that your existing hardware will work just fine with your iPad POS, and that you’ll be counter ready in just minutes. Check out our recommended iPad POS printers, scanner and bundle packages. Hike’s intuitive POS looks stunning on your iPad providing your staff with an easy to navigate interface, and your product catalogue beautifully visualized. Enrich your team and customers’ in-store experience with Hike today! At Hike, we’ve ensured that setting up your iPad POS is easy to do. With our range of support articles, instructional videos and 24/7 live chat support, you’ll be a Hike iPad POS expert in no time at all. Why should I use Hike on an iPad as opposed to a PC or Mac computer? It’s a good question and each device has their own unique advantages over the other. With the iPad however, not only are you getting a POS system that is much more compact and streamlined than it’s bigger counterparts, but you’re also getting a system that’s portable. In the space of modern retailing, the iPad fits the bill perfectly for ‘on-the-go’ sales, where you’re able to take the transaction to your customer, wherever they are on the storeroom floor. And in addition to enhancing your in-store aesthetic – by turning it stylish and chic – you are also free to take your iPad POS with you and sell on-the-go. Take your iPad to festivals or trade-shows and sell to a bevy of new customers straight from your iPad with Hike. I’m starting a new business and I already have an iPad. What else do I need? Thermal Receipt Printer: To print customers’ receipts. Barcode Scanners – For easy checkout and inventory counting. Credit Card Readers – Payment processors for tap & go transactions. Cash Drawer – A secure storage system to store your cash takings. These items are of course dependent on the type of store you run, but what’s neat about Hike is that many hardware add-ons are plug-n-play, meaning that they work out of the box and fully compatible with Hike. For complete details on hardware compatible with our iPad POS app, please take a look at our recommended hardware list. How time-consuming will setting up Hike on my iPad be? Setting up your iPad with Hike is not a difficult process, but for someone new into retail and POS systems, it will take some time to ensure everything is running smoothly on your first day. Import or create all your products, customers & suppliers into Hike POS. Connect your retail printer, barcode scanner, cash drawer, payment processor (where applicable). Fortunately, Hike is here to help you with every step with our extensive step-by-step support guides, video tutorials, and of course our 24/7 live chat support service who are always on hand to help you with all your Hike POS questions. What’s more, is that we now also offer an On-Boarding package for new customers, where we’ll help you import and sync your entire inventory list. Get in touch with our support team to find out more! I have thousands of items in my product inventory, how hard will it be syncing them to Hike? To import your product list (and customers and suppliers), you will need to do so from a CSV file, which is a spreadsheet or database, most commonly used with Microsoft Excel. So, your ability in successfully syncing products is somewhat reliant on how familiar you are with CSV files. Alternatively, Hike offers new customers an on-boarding plan where we import your products across into Hike ourselves. Making sure the mapping, and fields are all correct and ready to go when you first start using the POS system. To find out more, contact our support team! Not much! We’re well-aware of the need for small and medium-sized business to remain flexible with their costs, which is why Hike POS has remained consistent with our economical pricing. Sign up for as low as $49 USD per month, which includes 1 outlet and 1 register with an unlimited number of products. Should your circumstances change, you can easily switch plans – or just add another register. Our payment models are available for monthly and annual payments too, so if you only need a POS system for 3 months, you can easily stop your subscription when you’re ready. Our prices are as competitive as anyone on the market, and unlike other POS systems, we don’t charge exuberant fees for licences. Best of all however, you can take Hike POS for a spin using our free 14-day trial, and make sure that Hike POS not only delivers on what we promise, but will be right for you and your business. Hike POS seems like the one for me. What’s next? Great! We hope that you enjoy using Hike, just as much as we did in creating it. To get started, jump on a live chat or give us a call and we’d be more that happy to discuss payment plans, your store-setup, and explain exactly why Hike will be the right fit for your business. Remember, you can try out Hike for free for 14-days and if you have any questions just check our support page, or talk to one of our live chat support team. Click on the following button to download Hike’s iPad app on the app store. Start using it instantly with our 14-day free trial! iPad POS System with everything you need.